Nars Madly, as described by Nars is a warm soft-focus seashell pink. 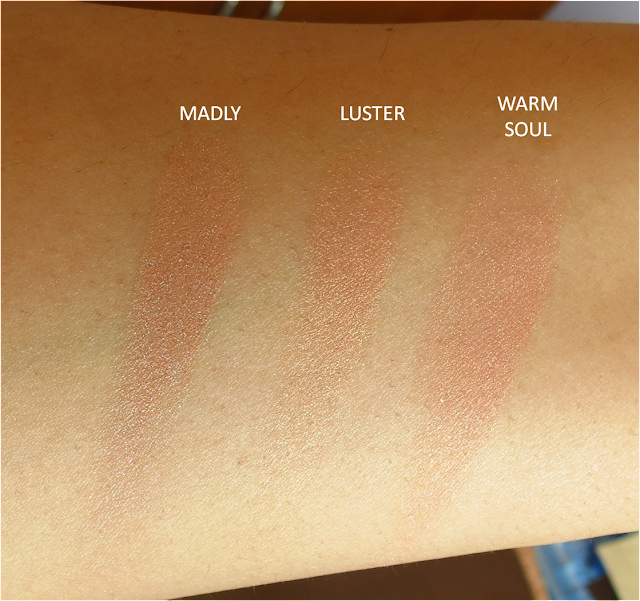 I would characterize this blush as warm beige with pink undertones and barely there sheen. When I saw this blush, I thought, this wouldn't do any good to my medium-tanned skin, but once on, my face was glowing and since then this is one my favorite blushes when I want barely there touch of blush. 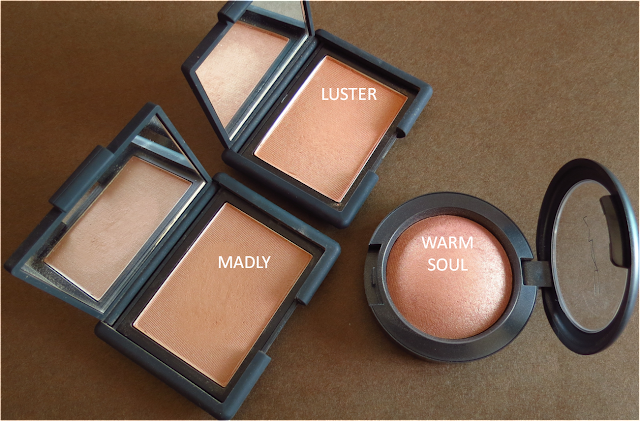 I can see this blush working for a wide range of skin tones. It is light enough for fair ladies and pigmented enough for medium-tanned skin ladies like mine. The formula is buttery smooth and glides very easily on skin without being patchy. It stays good on me for 5-6 hours without fading and doesn't make my skin oily over the time. What I found that the pigments of this blush are little loosely packed, which makes the packaging messy and wasting a little product. However, this does not alter the quality of the blush. Like other Nars Blushes, this comes in a sturdy black velvetty packaging, which I hate. Hey.. thanks Vipra. Yeah Nars blushes are too good, buttery smooth. What are you planning to buy from Nars? U reviewed so nicely dear.. the comparison is really helpfull! !